If you are looking for a well paying career that is also a long standing one, you can certainly opt for the career in professional driving. With programs like the LGV/HGV training, PCV training and driver CPC training, and a host of other refresher training courses from a reputed institute like Dhoot Driving School in Basingstoke, London, you can certainly make a great career in professional driving. The starting salary of the beginner professional drivers is quite good and the experienced ones get even better paychecks. When you join us at Dhoot Driving School in Basingstoke, London, you can turn out to be an extremely skilled driver with complete driving training. Thus if you are interested in turning your career towards the professional driving, your best choice in this regard is of course Dhoot Driving School in Basingstoke, London. It is also very important to be a knowledgeable and a safe driver since when you hit the road with your vehicle, you are being responsible for other people’s lives as well. Keeping this in mind, all our courses are designed in such a manner that they give equal importance and value to both the theory and the practical aspects of driving so that you turn out to be a well skilled and all round knowledgeable drivers. It is also worth mentioning that all the courses that are available with us are available in different languages other than English. Thus if you are not a native English speaker and have been hesitant about the training program simply because you would not be able to follow the instruction, now is your chance to gear up for that pending wish. The course materials including the theory books and the class room coaching are all available in different languages and even the trainers are multi lingual. They can speak different languages quite fluently. Besides these trainers are also registered with and approved by the DSA. Thus you can be certain that you are in the best hands when you join us at Dhoot Driving School in BASINGSTOKE, London. Similarly, the training vehicles that we use for the purpose of training are all well equipped with dual access controls which eliminate the chances for any kind of road accidents or mishaps. All the training programs that are in offer from us are further sub divided into several categories and classifications. Based on the kind of vehicle that you drive and your age, you can choose the training that perfectly suits your requirements. We can assure you that there is something on offer for everyone and you will not be disappointed. B+E car and trailer training: This training is meant for the towing vehicles only. There are two sub categories in this training program and you can choose your category according to the maximum authorized mass limit. For instance, you can obtain the B license if your vehicle falls within the MAM limit category. If your vehicle weighs more than the MAM limit, you have to obtain B+E license. PCV training: This training is meant for the passenger carrying vehicles. Depending on the number of passengers carried on the vehicle and also on your age, you can choose D1 + E minibus & trailer, D manual coach and D + E coach & trailer and also the D automatic bus, D1- minibus which are meant for the manually driven vehicles only. LGV/HGV training: This training is meant for heavy goods vehicle and the large goods vehicle. There are also several categories in this training program that depends on the weight specification of the vehicle and also your age, you can choose from C1 + E license, C1 + E – 7.5t & trailer, C – up to 32 tons, C + E truck & trailer and C1 – license. 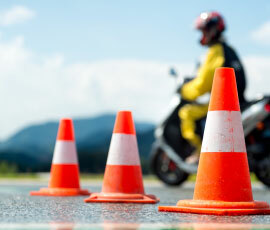 CPC driver training: This training is considered as a mandatory for all the LGV and the HGV drivers. For this training, you have to undergo an extensive training for 35 hours within every 5 years. There is help available in the form of driver CPC modules and the driver CPC case studies. 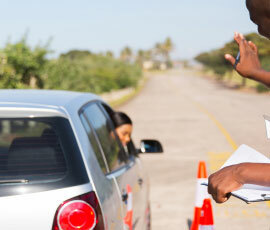 You have to appear for driver CPC theory tests for some specific driver CPC modules 4 and 2. Do not worry about the driving tests either. We have some cushioning services for that too. You can avail the specialized services like the pass protection and the PCV pass protection that can enable you to reappear for the driving test in case you fail to clear it in one attempt. You can also avail a money refund in case you are not satisfied with the training program with us. For us, customer satisfaction is the ultimate. For more information about our training and other services, get in touch with us at Dhoot Driving School in Basingstoke, London.